A Closer Look at the App! Get excited! Planning your wedding day just got so much easier! 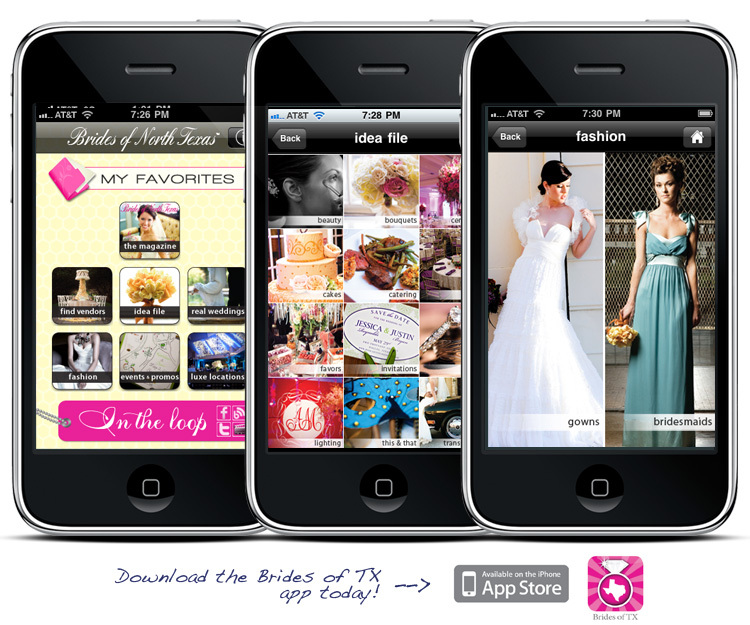 With tons of inspiration, ideas, and helpful tools, the new Brides of TX iPhone app is jam-packed with cool stuff! Browse through pages of real weddings and save your favorite images to your idea file. 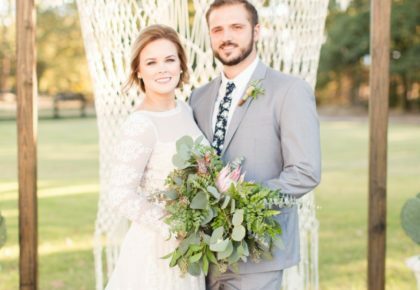 Search the best of the best DFW wedding vendors and contact them instantly with just a touch! Tune into behind the scenes videos of the making of the mag captured by Hakim Sons Films, Beyond and UonDVD! 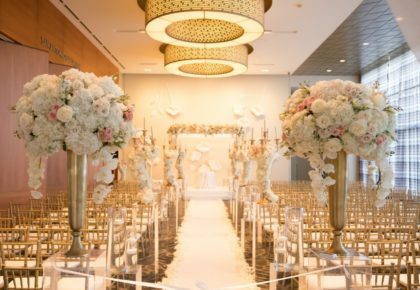 Find that perfect venue with Luxe Locations! 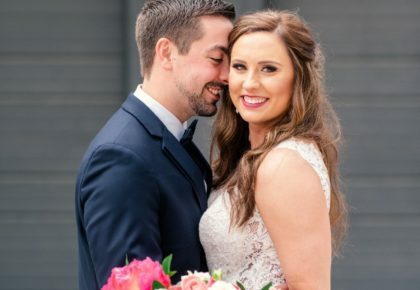 Sort through tons of awesome spaces by price, capacity, and location and immediately get detailed info, directions, and connected with the venue’s personal staff! Stay in the loop with immediate event and promotion updates from Facebook, Twitter and the daily blog! Don’t forget to rate your favorite images and ideas! 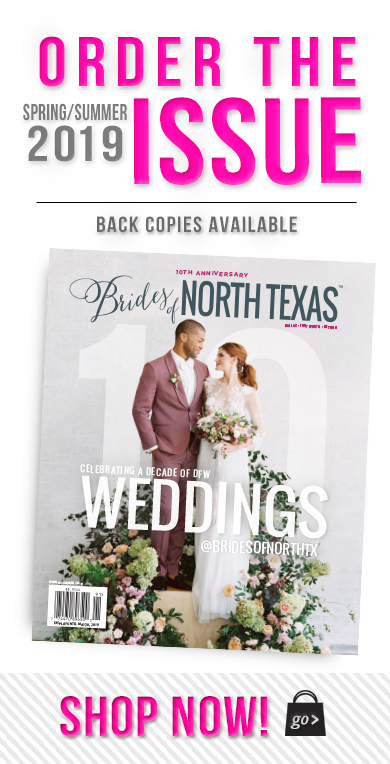 Rate the top North Texas weddings, bouquets, cakes, invites, décor—you name it! See how your ratings stacked up with other brides-to-be! Your dream wedding is just a touch away! Hurry to the iTunes store and download the Brides of TX app today! Enjoy! « Previous Post: Blue by Enzoani Trunk Show!